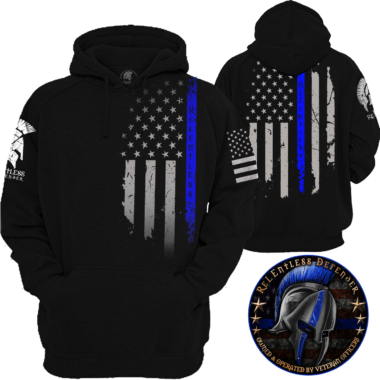 In ReLEntless Defender fashion we have designed the second annual fundraiser shirt for all to wear showing their support of the fallen officers in 2017. 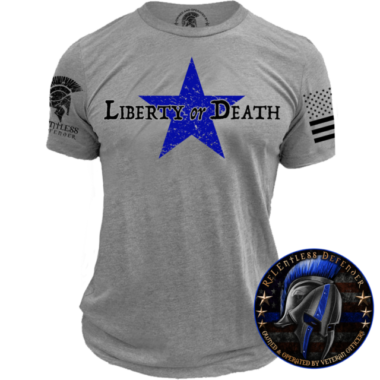 We are asked frequently why we don’t create a shirt for every fallen officer and the sad simple answer is it would be impossible. So we came together as a company and decided to create the second annual 2017 Memorial shirt Honoring the Sacrifice of the fallen Officers. 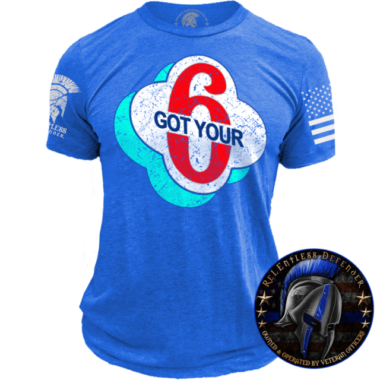 All proceeds for the sale of this shirt will be donated to the Nation Law Enforcement Officers Memorial Fund as part of our dedicated $250,000. God Bless those that sacrificed and God Bless the families who lost everything. Once the NLEOMF Certifies the number of Fallen officers the number will be added to the design on both front and back. All purchases made with the purchase will be held until the shirt is available for release. Earn up to 285 Points. I’ve received a few ReLEntless Defender shirts as gifts before and loved them. This was the first shirt I bought for myself. Received them fast when they were finally release. The fit is great and the design is very detailed and crisp, just like all of the other shirts I’ve gotten from this company. I’ll gladly support this company. They’re supporting a great cause with these shirts as well. 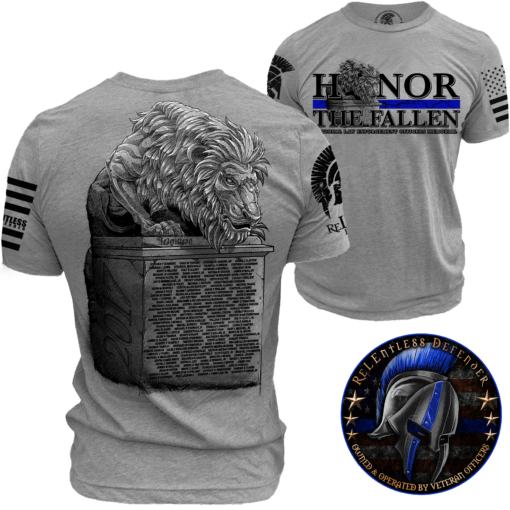 Great job on the design of this shirt RDA, I’m sorry there is even one name a year much less so many, but I proudly wear this shirt that remembers and honors each and every LEO we lost last year. Thanks you, These are great shirts. Wish they didn’t have to exist. Thank you for making these and donating the proceeds. Super fast shipping. Keep up the great work and I look forward ordering again soon. Absolutely love this shirt! Great fit! They take pride in designing these shirts! Great product! A great tribute to a fallen brother SGT Shawn Anderson, as well as all the fallen heroes. As usual great quality apperal and a great company to deal with. Shipping was quick and I got my shirt ahead of the scheduled delivery date. I’m already picking out my next purchases! What a way to honor our fallen heroes! Nice shirt and money well spent! 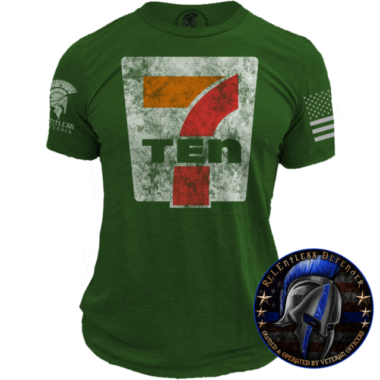 Thanks Relentless Defender for supporting us officers and our families! Comfortable shirt and quick delivery. Highly recommend! 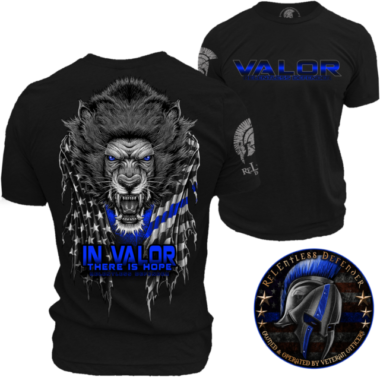 This was the first shirt I bought from you guys I am currently going to college to get a degree in criminal justice and I do everything I can to support Law Enforcement. I just want to say this was a great design, and a great company that I can proudly say will be receiving more of my support. I ordered this as a present and it is such a nice design. It’s one of my favorite shirts we have ordered. Customer service helped us so quick when we had a problem with our order. Will definitely order again! Great shirt and proceeds go to a worthy cause. Plus, Relentless Defender t-shirts are SO soft! I love the shirts, great quality. I have several relentless defender shirts. I buy them because I know that they are quality and that they will last. I absolutely love this shirt. Very comfortable and dries fast. Great shirt for a great cause! I have gotten so many compliments on this shirt from non LEO and LEO persons alike. Everyone has asked me where I got the shirt from and am pointing them in your direction RD! Keep up the great work on these high quality shirts! Excellent quality shirt. Fair price and quick delivery. Joel R. David never forgotten!!! The amount of detail that went into the design of this shirt is amazing! 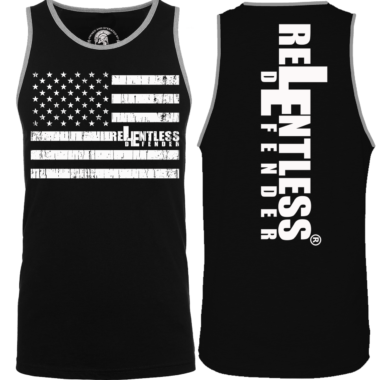 Like every other product from ReLEntless Defender, this shirt is extremely comfortable as well. Excellent quality, bought one for myself and a couple as gifts. Phenomenal detail and a great tribute to fallen officers. My teen loves this soft tee and has gotten compliments about it. I just want to thank all the employees there for bringing this project to life. It is important we never forget.. I think this may be my favorite shirt I have from Relentless Defender. I bought 2, one for me and one for my deputy. Great cause and great way to honor the fallen. Thank you for all you do to honor and keep the fallen in our thoughts and prayers. I love the shirt. Great design and awesome graphics. The customer service and easy to manage site is fantastic. I love this company, their cause, and quality of products. I saw this shirt and also saw that Officer Ken Copeland, whom I worked with when I was working in booking in 2000. My boyfriend worked with him as well, so I thought it was a perfect stocking stuffer and a great way to remember our fallen. I ended up getting us each one. The shirt is a soft cotton and is a great fit. I am proud to add it to my RDA collection of fine products. Love the shirt. Quality product the fits and looks great. Even better knowing the proceeds fo toward the memorial. Having lost too many brothers in my career, this shirt has a special meaning. I wear it with pride. I am so sorry – T thought I had commented last year when I bought this… This was received a couple of days before the unveiling of our local Fallen Police Officers Memorial, which has the lion sculpture. The looks I got and comments like, “How did he get a design so quickly?”) were incredible! Awesome shirt! Fits great and is very comfortable. It’s an honor to be able to wear this shirt with the names of those lost. Beautiful design! Great fit and construction. Print is crisp as always and customer service is impeccable. Relentless defender is a GREAT service provider to those of us in the first responder world. Thank you on behalf of the men and women in law enforcement.